Fifteen outstanding members of the University of Oregon faculty have been selected to receive Fund for Faculty Excellence Awards for the 2016-17 academic year. The Fund for Faculty Excellence is designed to further the university’s commitment to improving its academic quality and reputation by recognizing, supporting and retaining world-class, tenure-related faculty. Each recipient receives $20,000 in salary supplements or $25,000 in research funding. The award is made possible by the generous support of Lorry Lokey. 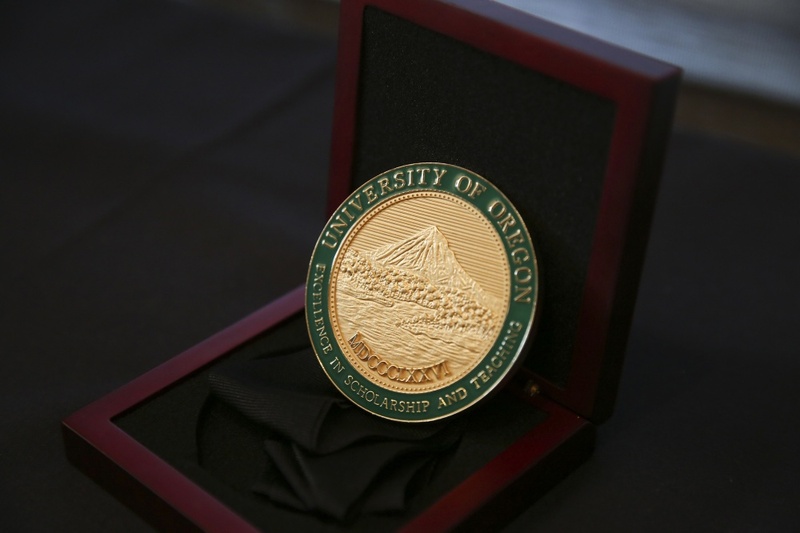 Recipients are selected on the basis of scholarly influence within their respective fields, their contributions to program and institutional quality at the UO, and their academic leadership. For more on the Fund for Faculty Excellence and the recipients, see the Academic Affairs website.